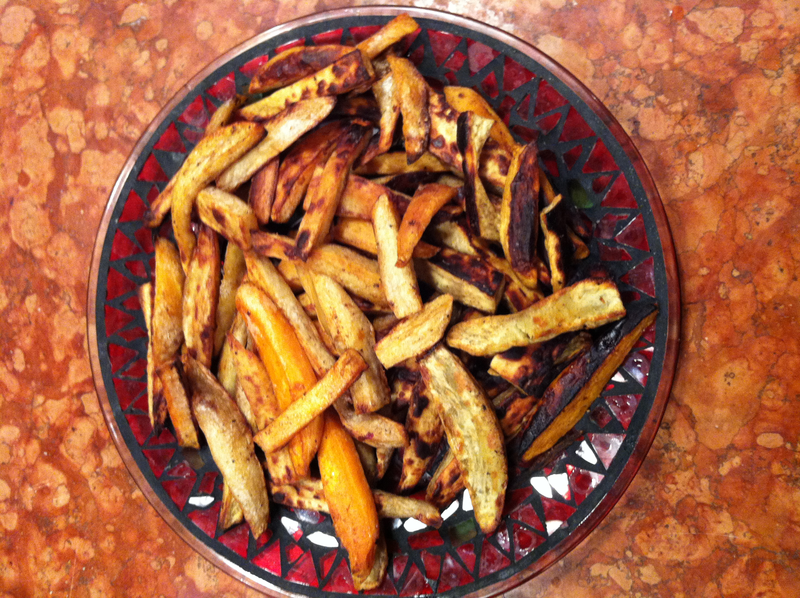 Last weekend my aunt and I made sweet potato fries that were absolutely delicious. The sweet potatoes were from her local farmer’s market. I love farmer’s markets! It is great to actually know where your food is from and they always have a homey feel to them. 1. Set oven for 375⁰ and line a baking sheet with aluminum foil. 3. Put potatoes slices in bowl and toss with 3 tablespoons of olive oil. 4. 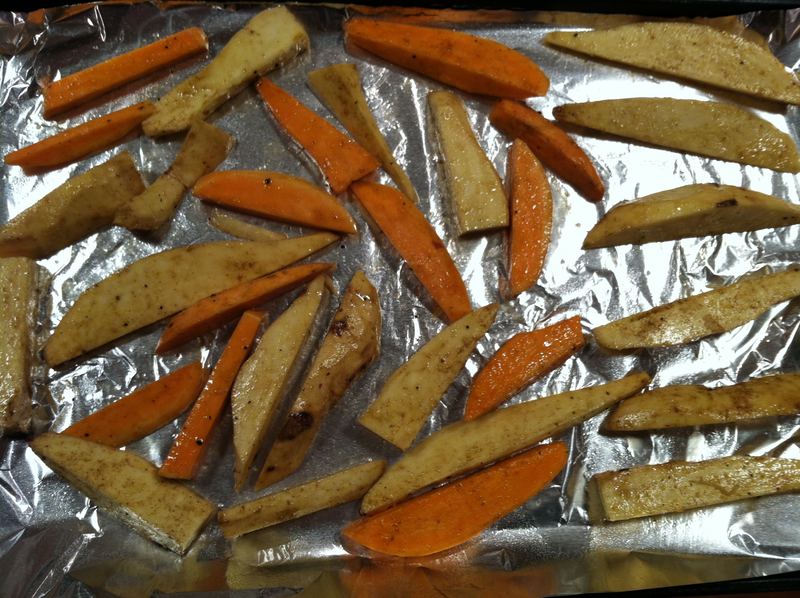 Add in 2 teaspoons of cumin, 1 teaspoon of salt, and 1 teaspoon of pepper. Toss all ingredients together. 5. Spread slices on baking sheet. 6. Bake for about 20 minutes, flip slices at 10 minute mark. Hope you enjoy these fries! They are a great substitute for the greasy fast food ones and work well as a side or an appetizer. Enjoy the rest of your holidays! I’ve heard orange foods are high in beta carotene. But I don’t remember why that is good for you. You wrote great descriptive steps for this recipe. 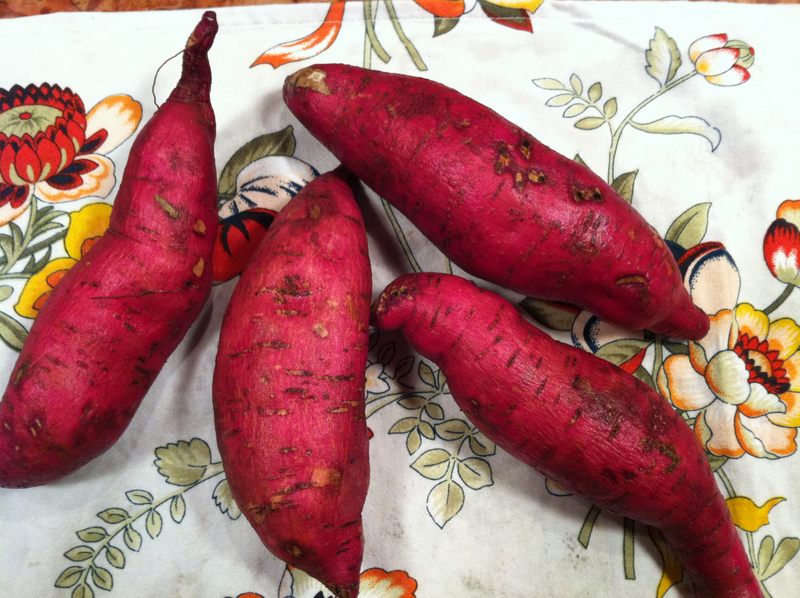 Beta carotene is good for you because it helps maintain good vision and eye health. Thanks for reading the blog!